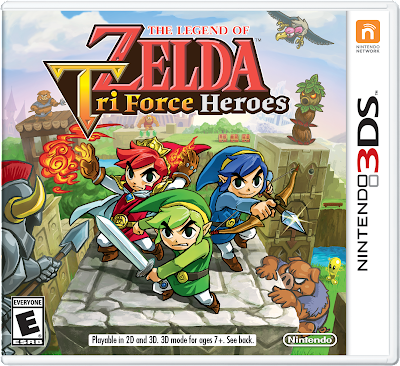 +Nintendo is releasing a demo of their upcoming Zelda game Triforce Heroes (Currently to select Nintendo fans) . Look for Nintendo's The Legend of Zelda: Triforce Heroes October 23, 2015. We are giving away 2 codes for this demo. If you want a chance to win them Follow us on Google+ and / or Twitter. @ message us #TriforceHeroes!! !